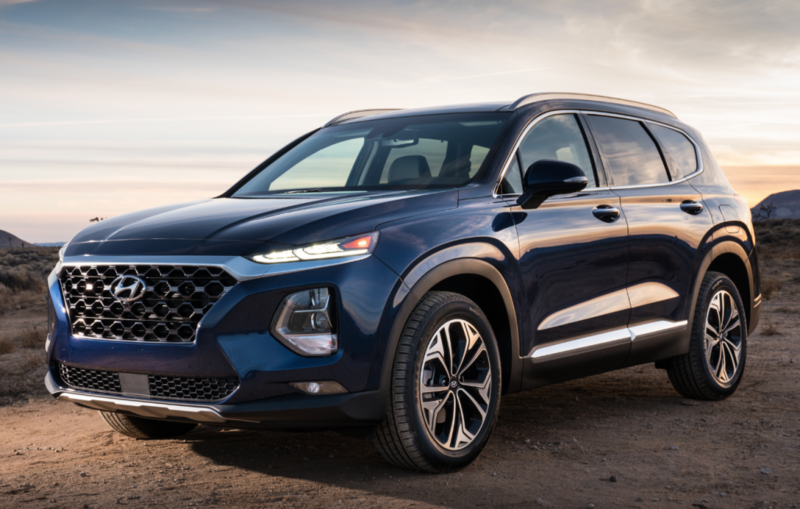 This new fourth-generation version of Hyundai’s midsize SUV is a two-row, five- passenger model that is simply named Santa Fe. Gone is the Santa Fe Sport monicker, which previously denoted the five-passenger variant. The 2019 Santa Fe grows 2.6 inches longer in wheelbase and 2.8 inches longer in overall length than the outgoing 2018 Santa Fe Sport. The current-generation three-row, seven-passenger model (previously called Santa Fe) is renamed Santa Fe XL for 2019; Hyundai says it is working on an all-new three-row, eight-passenger SUV that will debut in the near future with an all-new name. And, there is also a new diesel-engine version of the redesigned 2019 Santa Fe that will offer an “occasional-use” small third-row seat that is not available on the gas-engine versions. Got all that? Three engine choices will be available for the 2019 Santa Fe: a 185-hp 2.4-liter 4-cylinder, a turbocharged 2.0-liter 4-cylinder with an estimated 235 horsepower, and the aforementioned diesel powerplant, a 2.2-liter turbodiesel 4-cylinder with 190 horsepower and a healthy 322 pound-feet of torque. 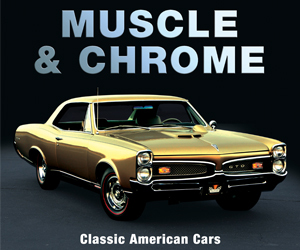 A new 8-speed automatic transmission is standard with all engines. All models are available with front-wheel drive or Hyundai’s HTRAC all-wheel drive system with Normal, Sport, and Smart drive modes. The 2019 Santa Fe’s striking new styling is highlighted by Hyundai’s signature Cascading Grille (a motif that debuted on the 2018 Sonata sedan) and a Composite Light design that positions LED daytime running lamps above the LED headlights. Larger windows all around and thinner windshield pillars are aimed at improving outward visibility and giving the interior an open, airy feel. Available Hyundai Smart Sense safety features include Forward Collision-Avoidance Assist, Blind-Spot Collision-Warning Assist, Lane Keeping Assist, Rear Cross-Traffic Collision Avoidance Assist, Smart Cruise Control with Stop & Go, and Driver Attention Warning. Two new safety features also join the available features list; Safe Exit Assist sounds a warning and temporarily prevents the doors from being opened if it senses a vehicle approaching from behind, and Rear Occupant Alert reminds drivers to check the rear seats and can send an alert to the driver’s smartphone if it detects movement in the rear seats after the driver leaves the vehicle. 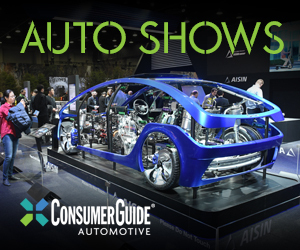 Other available features include “diamond cut” 19-inch wheels, a heads-up display, self-load-leveling rear suspension, Qi wireless device charging, and Hyundai’s latest AVN 5.0 navigation system with Apple CarPlay/Android Auto connectivity. Also available are Hyundai Blue Link Connected features, such as remote start with climate-control activation, car finder, and remote locking/unlocking—all of these functions and more are operable via a smartphone app, smartwatch, Amazon Alexa, or other compatible device. 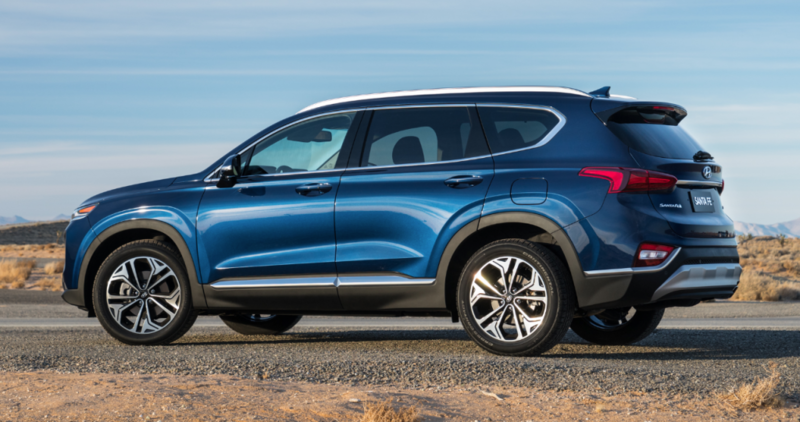 The 2019 Hyundai Santa Fe is slated to go on sale this summer. We’ve long been fans of Hyundai’s Santa Fe lineup, but both the two-row and three-row versions have recently started to feel a bit long in the tooth as rival automakers have introduced newly designed competitors. This ground-up redesign should put Hyundai back at the forefront of the midsize-crossover category… and the forthcoming, yet-to-be named eight-passenger SUV will give Hyundai a direct rival to class stalwarts such as the Chevrolet Traverse, Honda Pilot, and Volkswagen Atlas. However, we’re a bit puzzled by Hyundai’s strategy to make the 2019 Santa Fe’s third-row seat available only in the diesel model—it seems to us there are a lot of buyers who want the added flexibility of a third-row seat (even a small one), but don’t want a diesel engine. Written by: Damon Bell on March 28, 2018.